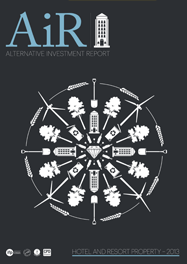 Intelligent Partnership has published AiR 2013 – the first comprehensive and accredited Industry Report on Alternative Investments accredited by the CII and IFP, with a focus on real assets marketed to UK retail investors. Sectors covered include property, land, forestry, energy, farmland, precious metals and collectibles. Advisers looking to educate themselves or broaden their investment offering post RDR can download a complimentary copy and claim CPD towards their member scheme.